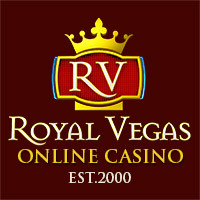 Many online casinos do not have just one single casino game suppliers range of games on offer they have several, and as such if you choose to play for example at one of the casino sites that also have land based casinos you will often find they have a huge range of casino games on offer from several different companies on their online gaming platforms. Take for example Gala Casino and Coral Casino the former is a land based casino operator in the UK whilst the latter is a very well respected land based betting shop operator, both of the online casinos those two companies have available have plenty of different Blackjack game variants on offer, and as such you will be making a very wise decision if you choose to play at either site. For by accessing their range of game you will have complete confidence that they will pay you when you win, and they offer a large range of both depositing and withdrawal options to suit all players. In fact if you choose to play at Coral Casino you are going to be able to apply for one of their Connect Cards that will allow you to play any of their online casino games and if you win you can choose to collect your winnings in person and in cash from one of their land base betting shops! Both casino sites do of course hold a full gaming license and as such all of their games are fair and completely random. Below you will find a complete overview of all of their available Blackjack games, and as you are about to find out each of those Blackjack games come with their own game play rules but more importantly than that they all have their own built in house edge. For you to get the maximum winning chances when playing any of their available Blackjack games for real money then stick to playing the games with the very lowest house edge and always play those games optimally by using the perfect playing strategy for each game. If you simply wish to test drive their gaming platform and range of Blackjack or other casino games then you are going to be able to do just that as both casino sites have a range of free play games on offer allowing you to sample each of them out and get used to their unique design. European Blackjack – The European Blackjack game available at Gala Casino has six decks of cards in the shoe, and when played optimally you will get the house edge down to a low 0.03%. When faced with a hand worth a soft 17 or higher the dealer will always stand those hands. This European Blackjack game is not hole card game and players can double down on any 9, 10 or 11 valued hands that have been dealt out to them, plus all players can if they choose to double down after they have split a pair of cards. Single Deck Blackjack – One deck of cards are in play in the Double Deck Blackjack game which is found in the gaming suite of the Gala and Coral casino site. You are able to double down when playing this game on any hard 9, 10 or 11 values hands dealt out to you, and can double down after splitting any pair of cards. The Single Deck Blackjack game at Coral and Gala Casinos is not a hole card game and no surrender option is available, perfect strategy will get the house edge down to 0.14%. Standard Blackjack – 0.49% is what you can get the Standard Blackjack games house edge down to if you play this game with perfect strategy in place. This game is another Blackjack game variant that you can play at Coral or Gala Casinos which offers no surrender options and has a total of eight decks of cards in the shoe. The Dealer plays any hand worth a soft 17 by standing those hands, and will peek as this game is a hole card game. Players will be able to double down on any two initial cards and can double down when they have split any pair of cards. The above games are available at both Coral and Gala Casinos, be aware that both of those casino sites offer a no download gaming platform and as such if you do fancy giving any of the above named Blackjack game variants a try out for free you will be able to instantly access and play them in a no risk playing environment when using any web browser. You will find that Coral and Gala Casinos do not accept players from every single country of the world and they do have some play restrictions in play at their site, so please do ensure you are in one of their permitted countries before you waste any time registering as a new player. When you choose to play at either Gala or Coral Casino sites you are going to be able to put your blackjack playing skills to the test in a no risk playing environment as all of the blackjack game variants mentioned above are available in a free play mode. However when playing for real money all winning swill of course be yours to keep and you will also earn real money comps on all of your real money gaming action. Be aware though that to have any chance of winning when playing blackjack online you will need to play the blackjack game variant you have chosen to play with the very best strategy in play and that will see you for example never taking insurance and always splitting a pair of aces. Plus you really do need to play the lowest house edge blackjack game on offer, which as you can see from above is the Single Deck Blackjack game variant, so make sure that is the game you choose to play online.